It somehow feels appropriate that the 2018 season ended with Ireland as they started the series. They showed the same fighting spirit as they did with Pakistan. However, just like that Test this one too was in vain. I feel sorry for Kevin O’Brien. I think he deserves more for the efforts he put it. An Afghanistan Ireland full Test series would have been something I would have relished. This one really did not reveal anything. My personal opinion is that any bilateral series should have a minimum of three Tests. I have to mention Christchurch. New Zealand scored 1,316 points in the first Test and 984 in the second. Second place would have been guaranteed. That though is part of the game. A washed out game can make the difference between being champions and losing out. Cricket is a game where the faintest of edges can lose games let alone a cowardly terrorist attack. I look forward to next season when New Zealand start their campaign earlier than what they did in the 2018/2019 season. Ireland and Afghanistan finally made the list because of the criteria of two Tests that I placed. However, I am seriously reconsidering this. I am considering increasing this limit to five Tests. I can understand the need for playing more One Day Internationals and T20. Those are the games that fill the coffers of the boards. They are Test playing nations. The only way to improve in Tests is to play more Tests. Zimbabwe, Ireland and Afghanistan can play against each other. They are in three different seasons. The other thing that can be done is to have an agreement with various boards. Let teams that come to tour England play the first Test against Ireland and then come and play against England. Countries that tour India should play against Afghanistan and those that visit South Africa should go to Zimbabwe first. Zimbabwe, Afghanistan and Ireland have to grow to improve the health of cricket. The difference between Ireland and Afghanistan is six points. Seven more runs by Afghanistan would have seen Afghanistan go ahead of Ireland. Kane Williamson missed out on getting more points. Catching up with Pujara with just one Test left would have been difficult but not impossible. The difference though is the rate at which Williamson has scored as opposed to the number of points. I have to decide whether I give more credence to what measure. The Test XI has been stable. There could be changes once The Ashes starts but until then this team seems to be the best. As always I look forward to your comments. Previous Previous post: It’s Just Not Cricket: Narrow Escape for Bangladesh. 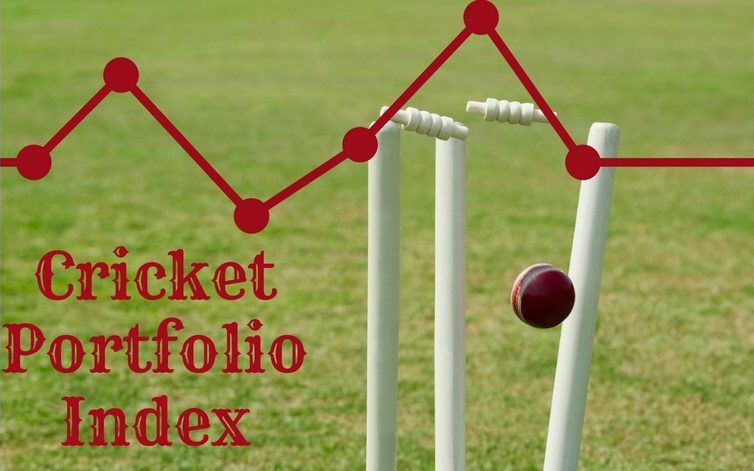 The Soans Times Cricket Portfolio Index: Battle of the Newcomers.